If you’re looking for some fascinating gamification examples taken from the world of business and social media, then you’ve come to the right place. In this guide, we’re going to show you some of the most interesting examples of gamification you’re ever likely to see - so with this in mind, let’s get straight to it. 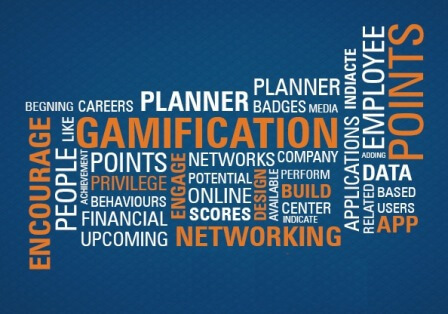 First of all, it’s worth understanding what gamification really is. Essentially, this term simply refers to the multiple strategies used to incorporate ‘game like’ features into a company’s website and marketing materials, in an effort to boost user engagement, and generate additional buzz in the marketplace. While some of the implementations of this technique can be bizarre and unusual, there's no denying that they’re incredibly effective. Now, let's take a look at some of the best gamification examples currently in action. Perhaps one of the most intriguing and engaging uses of gamification in recent times is the US Army’s recruitment programs. The incredible success of video games such as Call of Duty have made millions of people no strangers to virtual combat, and the US army website seeks to capitalize on this by raising awareness of their recruiting schemes. These days, there’s actually 4 active recruitment units in the US army, who tour public spaces and shopping malls with their ‘virtual army experience’. Of course, this has generated a lot of buzzes, and made many young adults keen to join the army and serve their country. For most people, the concept of financial planning is rather dry and boring - closer to a chore than any sort of entertainment. However, the team behind the Mint website aim to take away some of the boredom and complexity by implementing a fantastically gamified goal tracking system into their services. This system gives you wonderful visual breakdowns and goal trackers that allow you to track your spending habits, allocate money to various budgets, and generally chart and outline your progress as you manage your money. The new system has been a huge success, with thousands of people flocking to the revolutionary new money management system, in large part due to the gamification process that’s made it fun and engaging to perform a task that’s traditionally considered to be a bit of a drag. Here’s a brilliant implementation of gamification examples which is designed to engage young people with the challenges faced by overcoming world hunger and poverty. The website provides the user with 10 separate missions, each of which is designed to teach a key aspect of their strategy to make a real difference in the world. Each mission is to deliver one week apart, so it takes 10 weeks to complete the ‘game’ in it's entirely, and over the time, the gamified features allow The World Bank to keep user engagement high and ultimately fulfill their goal of teaching more young people about the goals of the organization. The use of this game has even led to successful online mentorships, scholarships, and more - making the project a resounding success for everyone involved.